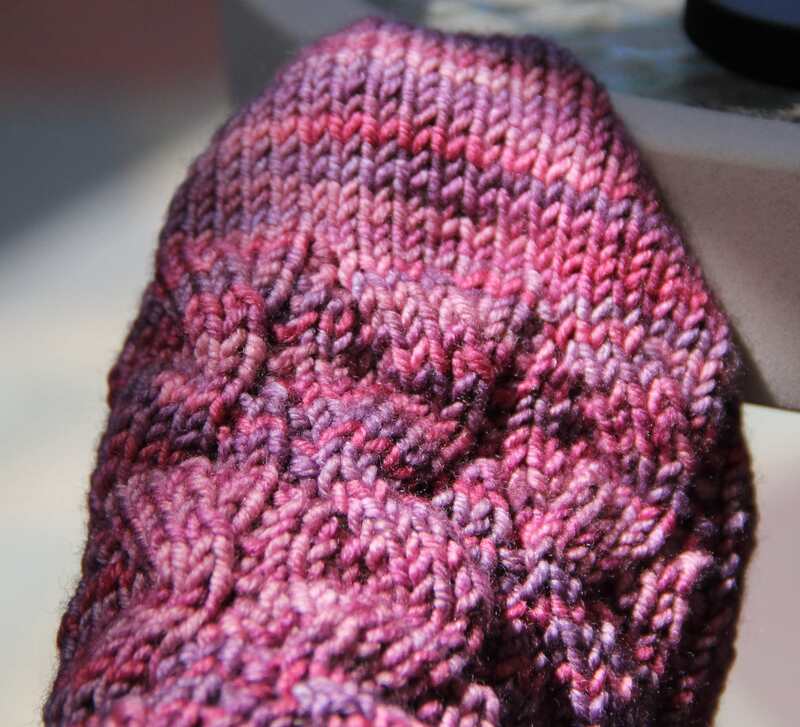 My favorite provisional cast on for toe-up socks is the short-row toe. I favor it because I can change the shape of it from squared-off to more rounded by changing the number of stitches left unworked in the middle. It’s easy to customize to any foot shape. For this sock I preferred the square shape. Let’s walk through how to make a short-row toe. It starts with a provisional cast on. Select a waste yarn that is smooth and made of cotton. The waste yarn should also be a different color from the sock yarn and it should be of a similar thickness. 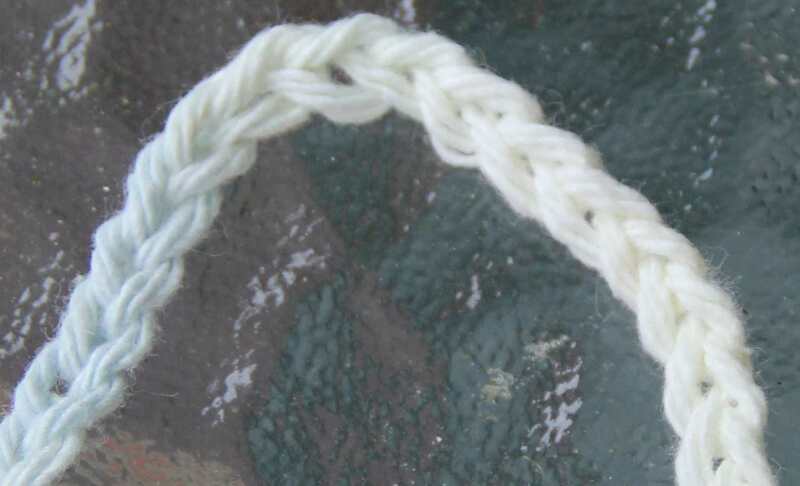 With a crochet hook that fits the thickness of the cotton yarn, crochet a chain that is half the number of the total stitches needed for the sock plus an extra 4 chains. The total stitches I needed was 48. I crocheted 24 chains plus 4 extra. I finished off the chain and put a knot in the end to mark it as the end from which I will undo the chain later on. Crochet has a smooth side and a bumpy side. To start my toe, I picked up 24 stitches through the chain bumps on the bumpy side. When finished it looks like this. The stitches are ready to be purled. Once that is done I am ready to start my short rows. A toe has three sections: the center and two sides. Usually these three sections have the same number of stitches in them. For my toe, I have 24 stitches which I divide by 3 to find out how many stitches should be in each section. My three sections are made up of 8 stitches each. 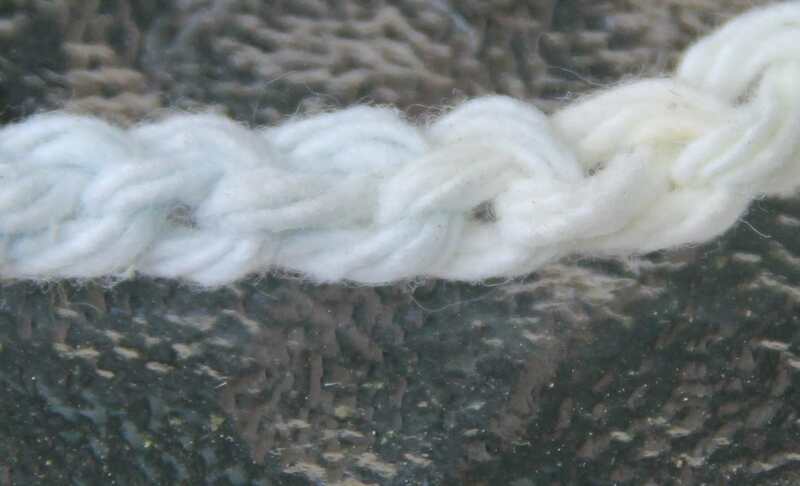 However, some times the number of stitches in the provisional cast on are not neatly divided. In these cases, remember that both the left and right side of the toe must have the same number of stitches in them. Any extra stitches are added to the center. 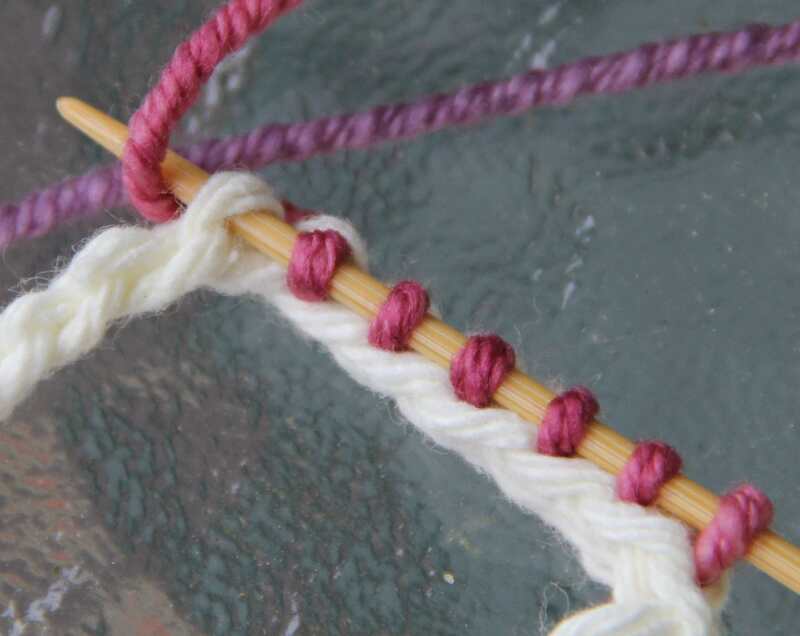 Short rows include a technique called wrap and turn. Usually it’s abbreviated as w&t. It’s a very simple step. For RS rows, knit up to the stitch to be wrapped. Leave the stitch to be wrapped on the left needle, bring the yarn to the front, slip the stitch to the right needle, move the yarn to the back, thus wrapping the stitch, turn the work. Slip the wrapped stitch to the right needle and purl across the row to the next stitched to be w&t. Again, leave the stitch to be wrapped on the left needle, move the yarn to the back, slip the stitch to the right needle, bring the yarn to the front wrapping the stitch, turn the work. Slip the wrapped stitch to the right needle and knit across the row to the next stitch to be w&t. When all the stitches are worked, the second part of the short-row toe begins. I’ll talk about that on Monday. Thanks for this tutorial. I am just finishing a pair of socks and felt the toe ends left a bit to be desired! Cheers Moke.